When you think of freelancers, what’s the first thing that comes to mind? It might be someone who makes a living by writing, marketing, or virtually assisting others, right? Most people think of freelancers as professionals who work in creative, business, or marketing services, but that’s not always the case. There is a whole world of freelancers who work in other industries, but who are these people? First, let’s look at the term “freelancer” to get an idea of what it really means. A “freelancer” is someone who is self-employed and offers their services to a variety of companies at the same time, rather than being employed by a single company in a permanent position. They are independent contractors who have the freedom to set their own hours and who must provide their own equipment to perform the job. That said, there are no constraints in the definition about which industries freelancers have to work in, and the advent of newer and better technologies has only helped to make the variety of industries more broad. Here, we take a look at a variety of freelance careers that you might not have considered. It’s commonly assumed that freelancers work from home. While this is true of freelancers in certain positions, this doesn’t always hold true for every industry. Field service technicians are one example of professionals who must travel and work on-site with their clients. A field service technician is someone who provides maintenance and repair services for various electronic issues. For example, they might service computers, point-of-sale (POS) systems, security systems, appliances, televisions, stereos, and other equipment. They might also work with individuals who need personal repairs done or with businesses that need their company equipment installed, maintained, or serviced. Although most field service technicians find themselves utilized by large corporations, others have found plenty of work on their own. With the proper knowledge and skills, you can find opportunities as a freelance field service technician, too. 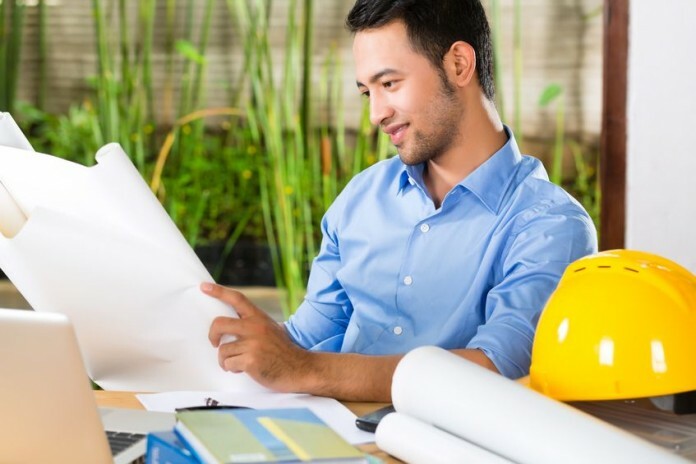 Though there are many employment avenues in this field, there are opportunities for freelancers in the property preservation industry as well. When you think of jobs in the hospitality industry, you probably think of people who work in hotels, restaurants, and casinos, but some of these same positions can be performed on a freelance basis – like private caterers and event planners. Although you won’t find these people employed by hotels or cruise lines, they can find work with businesses and individuals who require their services on an as-needed basis. According to BLS.gov, the event planner job outlook is good and is expected to grow by 10 percent from 2014 to 2024. Event planners make, on average, $46,490 per year, but the potential is higher for individuals who run their own businesses. Keep in mind that you might need a degree and/or certification to practice in one of these areas, even if you are planning to work on your own. Once you have those credentials, however, working with private clients or with a variety of companies is possible, since the demand for wellness and education programs increase. For example, while you can be employed by a school or community organization as a public health educator, you may choose to work with a variety of companies on a contract basis instead. You can charge for speaking at conferences, visiting schools to educate the students about health and wellness, or collaborating with specialists within a community to help boost the overall community’s health. As another example, a personal trainer may work independently with several gyms and companies in their area or with private clients in their homes. You might think of teachers as being employed by various school districts, but more and more teachers are taking their knowledge and skills and turning them into a freelance practice. For example, a previously full-time schoolteacher might decide to go freelance and start selling their own online training courses or begin tutoring students in their home. As a freelance instructor or tutor, however, you’ll have more control over your rates to earn above the average for employed teachers. Lawyers and paralegals often work at legal firms, although some lawyers might choose to start their own practice. Still, we don’t generally think of them as “freelancers.” There are lawyers, however, who work with various firms on a freelance basis from time to time. Although these “contract lawyers” were once seen as less successful professionals, Seyle points out that times have changed and there is now more respect for lawyers who choose to take the freelance route. Being a freelancer doesn’t necessarily mean you’re a writer, designer, or other creative or marketing professional. It simply means that you’re working independently with a variety of businesses or in a number of different industries. There are countless opportunities for freelancers in numerous fields, so don’t be afraid to explore the possibility of working for yourself with multiple clients if you like the idea of going freelance.